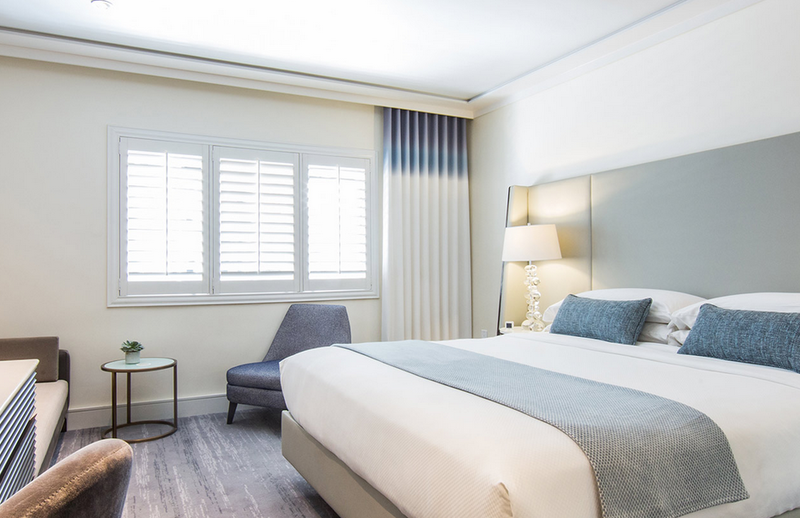 The luxury Mosaic Hotel in Beverly Hills, California, which is part of Gemstone Hotels & Resorts’ portfolio, will be reopening on August 1 after a complete redesign by London-based design firm Luxlo. 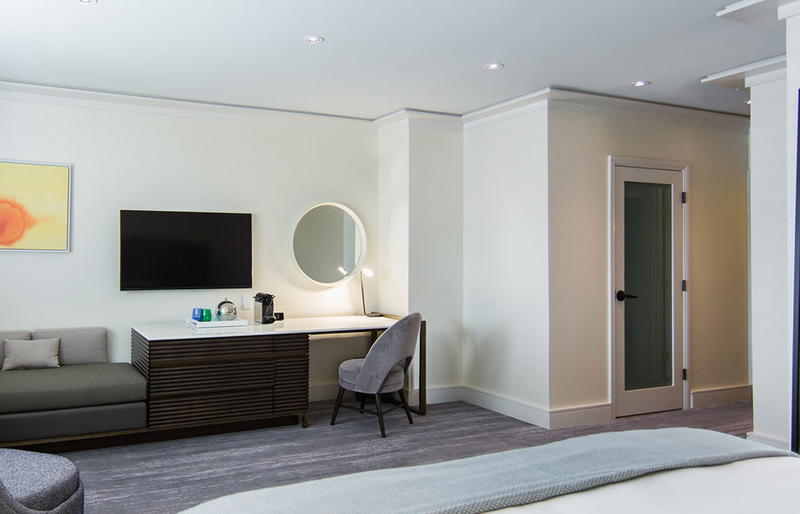 The 49 guest rooms feature distinctive feature a sitting area, a dressing table, luxury linens and mirrors that are casually leaned against the walls.Bright colours in the contemporary artwork on the walls mix with sober but classy browns greys and whites. 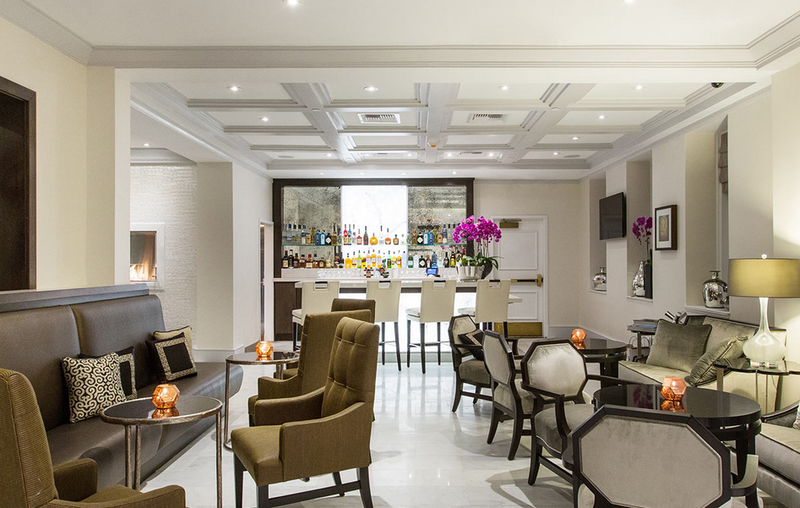 A doorman dressed in a bowler hat will welcome you and communal areas including the foyer continue with the fun theme of multicoloured artwork on the walls as well as a sculpture. There is also a pool area where the small but cute pool is complemented by lots of comfy seating for relaxation and fire pit. 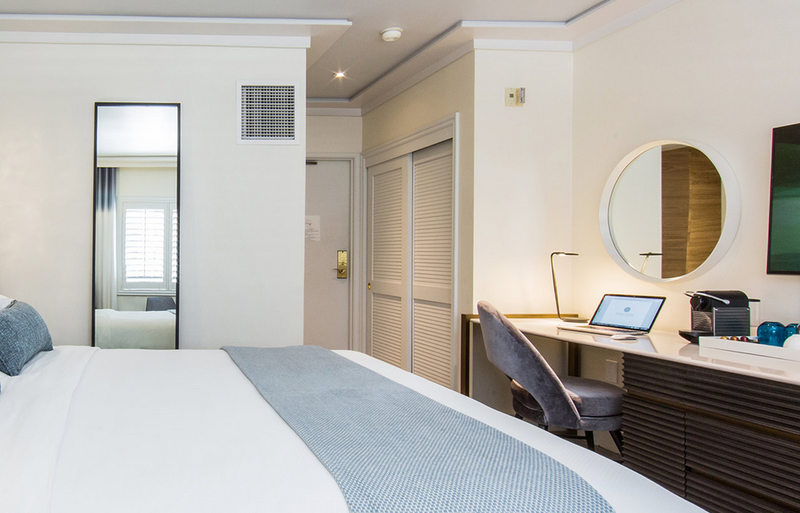 Location wise, the Mosaic Hotel is slap bang in Beverly Hills, just steps from a diverse collection of world-class restaurants, museums, nightclubs, and the shops of Rodeo Drive, Wilshire Boulevard, and Century City. The Pacific Ocean is only 15 minutes away from the Mosaic at Santa Monica Beach. 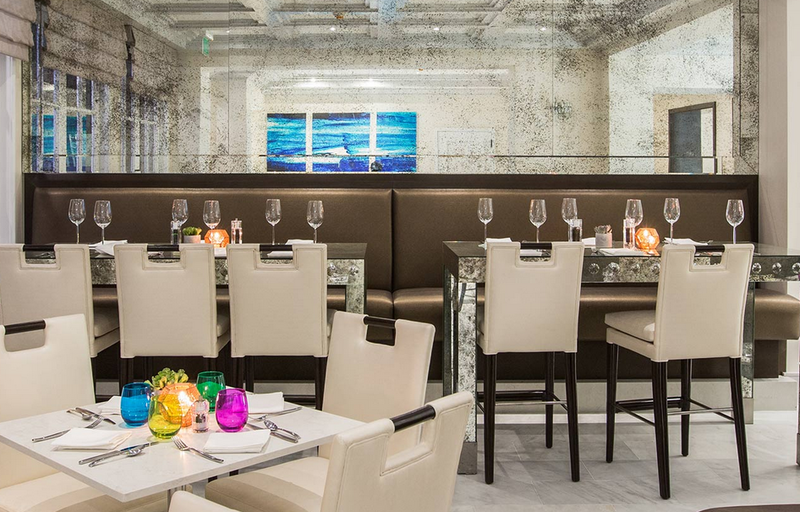 Complimentary car service is offered for destinations within Beverly Hills and to Century City Mall. 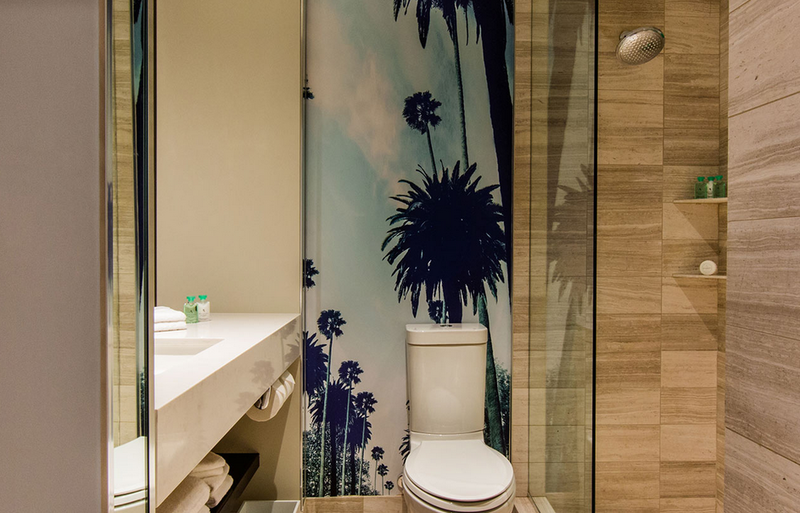 I love the palm tree mural behind the toilet in some of the bathrooms- simply fun and Oh So LA.